The universe includes everything that we can observe, from the Earth, the planets and their moons, the stars, galaxies, radiation and even time itself. 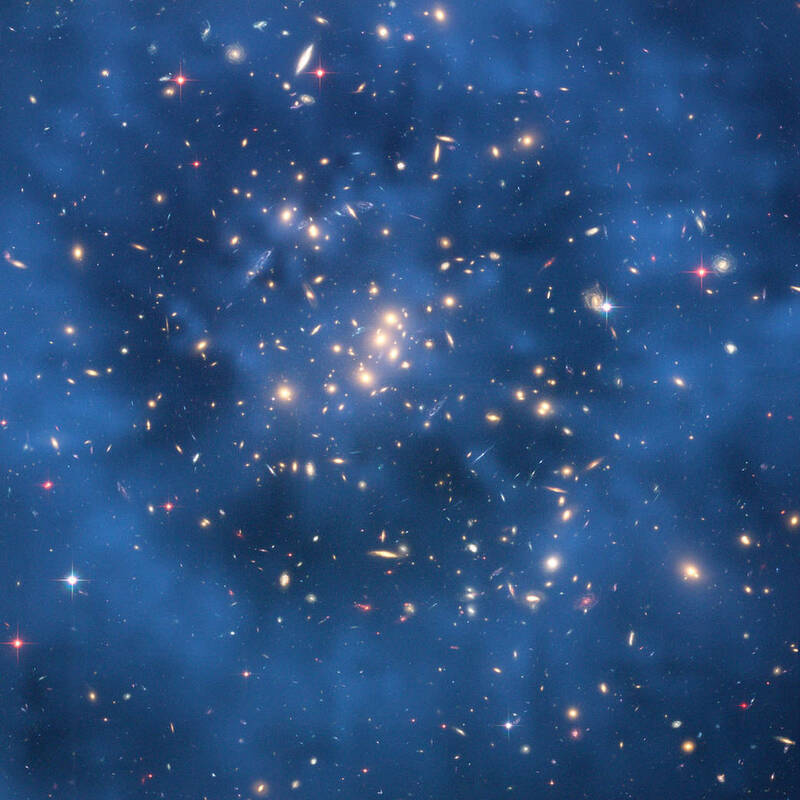 Yet over ~95% of the universe is composed of Dark Matter & Dark Energy! 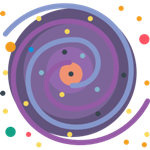 It is unknown how big the universe is or whether it has an edge, but it is believed to have started with the Big Bang and has been expanding at an increasing rate ever since. 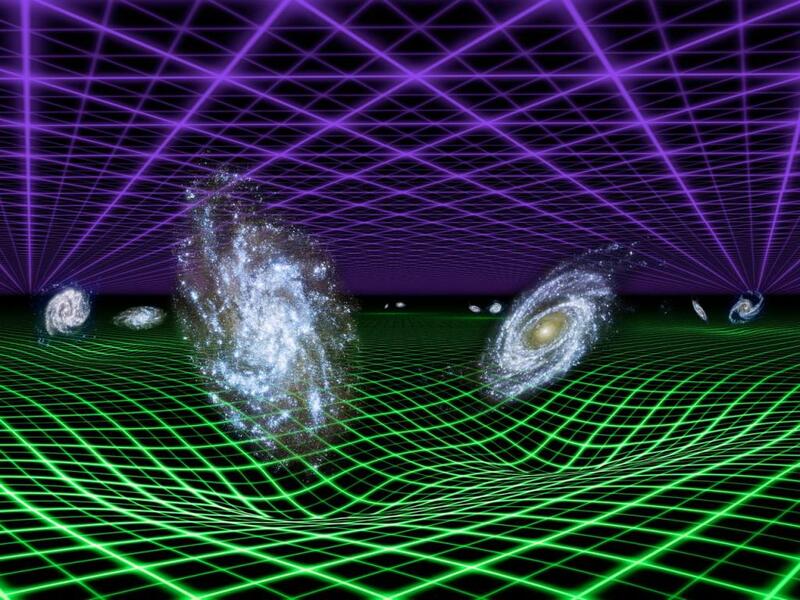 So What Is The Universe And How Big Is It? Since the beginning of human history, man has gazed at heavens and wondered about their true nature. The ancient Greek, Indian and Chinese believed the Earth was at the centre of the universe. With the aid of modern telescopes and space probes, we have discovered the universe is much more than we could have ever imagined. What we call the universe includes everything, everywhere, in all directions. It includes all the subatomic particles, atoms, molecules, living beings, planets, moons, stars, galaxies, radiation (such as light and cosmic rays) and even time itself! 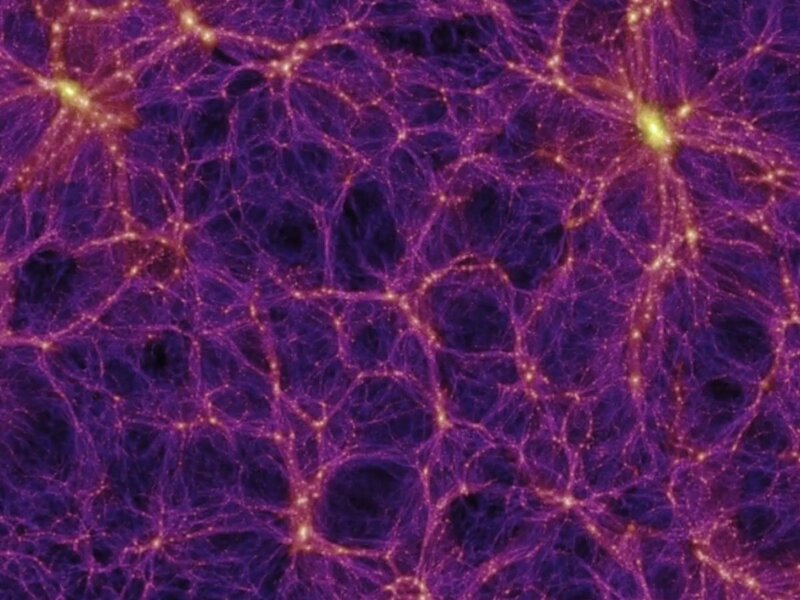 Despite all of this, strangely the universe is believed to be almost entirely made up of Dark Energy and Dark Matter (~95%)! The universe contains all of the galaxies, at least 100 billion of them, each containing billions of stars. In fact, it has been said that there are more stars in the universe than grains of sand on all the beaches on Earth. That’s at least a billion trillion! Wow, that’s a lot! However, the universe is so spread out, it would take a spaceship travelling at the speed of light (300,000 kilometres per second) 5 million years just to reach the largest nearby Andromeda Galaxy. 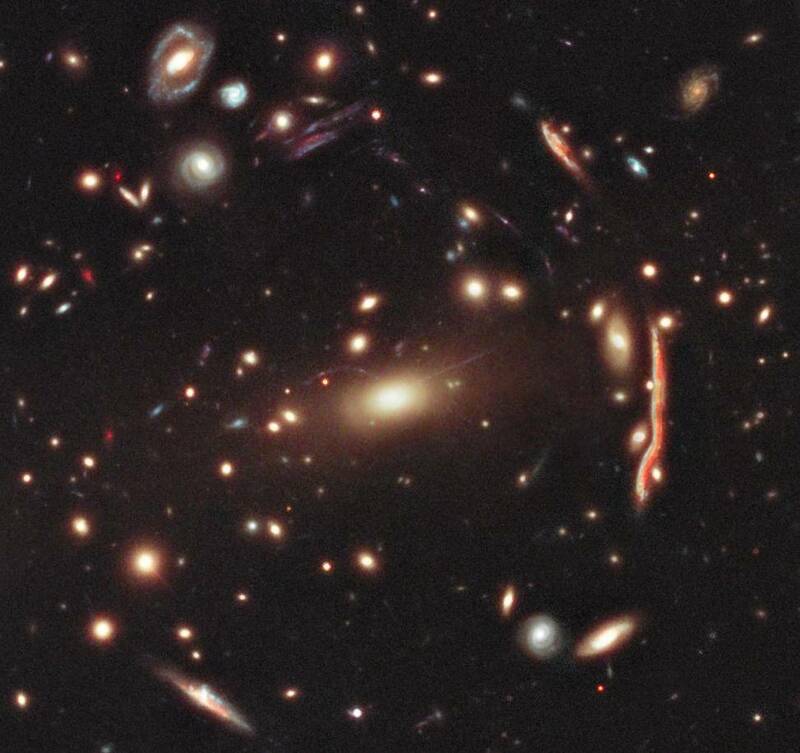 NASA’s Hubble Space Telescope once zoomed in on a small patch of dark sky and took a photo of the most distant galaxies that are 13 billion light years away. 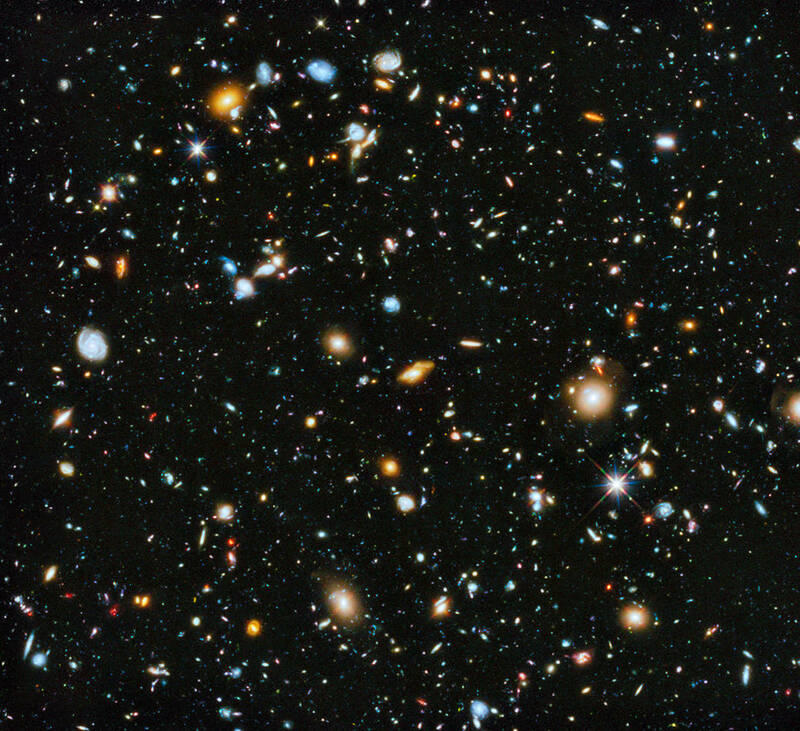 The Ultra Deep Field (see below in the image gallery) which only covers an area of sky the size of a grain of sand held at an arm’s length, shows that the universe is unimaginably big and full of galaxies. In the year 2020, the next generation of NASA telescope (the James Webb Space Telescope) will be exploring galaxies even further back in time from just after the birth of the universe. It is not known how big the universe is, or its shape or whether it has an edge. It may even extend in all directions to infinity. However, it is known that the region of the universe that can be observed is at least 46 billion light years in size and expanding. 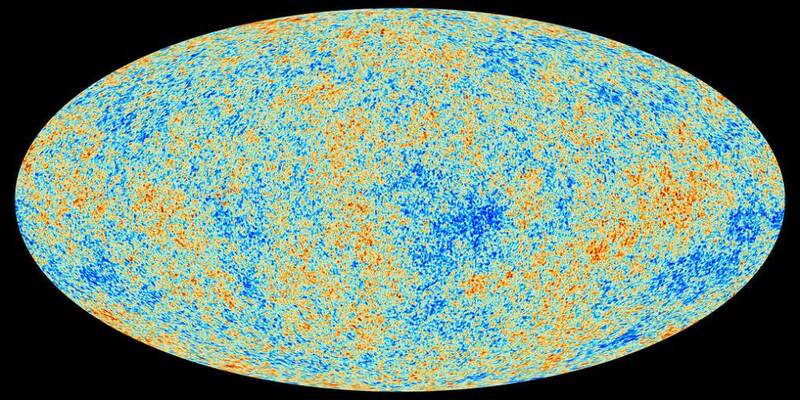 Scientists believe this expansion began with the Big Bang, which took place about 13.8 billion years ago. 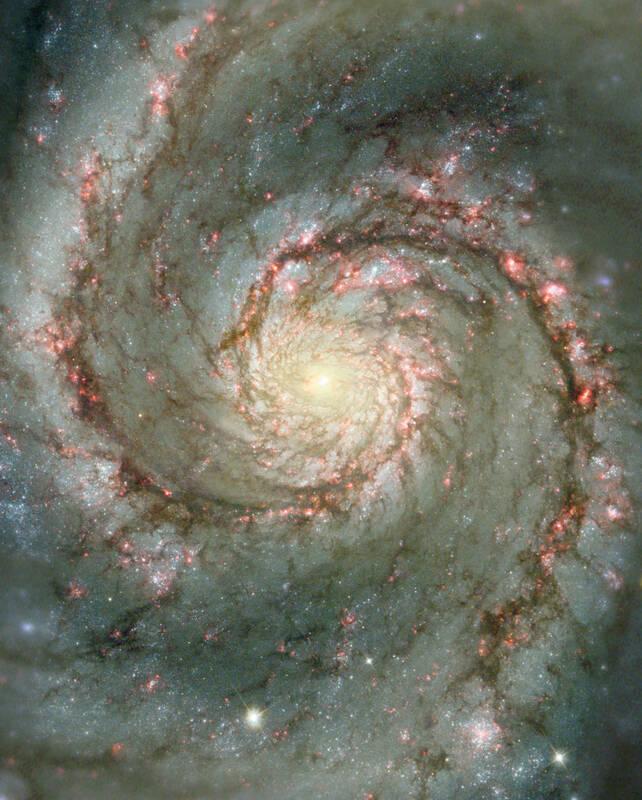 Since then, the universe has been expanding with the space between the galaxies pushing them further apart. 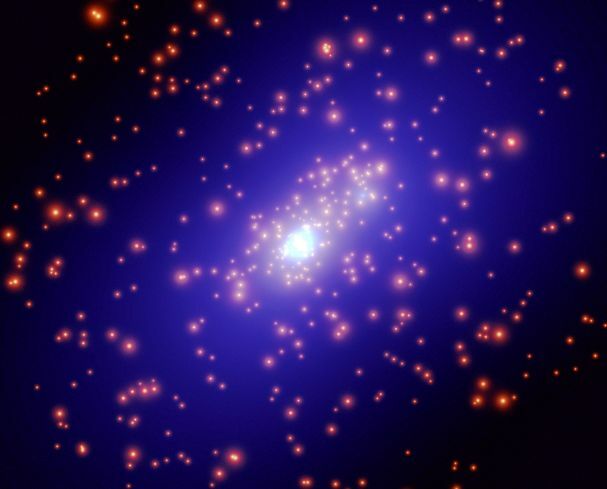 The cause of this expansion is still unknown but is theorised to be related to Dark Energy and Dark Matter. The ultimate fate of the universe is unknown, along with what if anything, preceded the Big Bang. It’s crazy to think that there was any time or space before the Universe was formed, but surely it couldn’t have burst into life from nothing right? There are still many mysteries about the universe which the field of cosmology is trying to answer. Chelyabinsk Meteor – The Fireball Brighter Than The Sun!